As part of G-Shock’s 30th anniversary celebrations, Pencil created a limited edition book for the press and the fans. 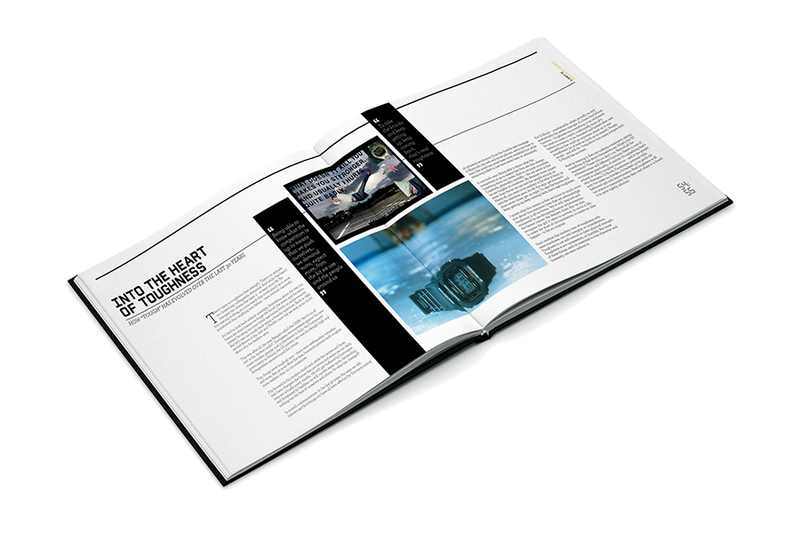 The book unravels the story of this iconic brand – from the inspiration behind the watch to the role it has played in 20th century culture and technology. G-Shock’s G-Bus journeyed to Fistral Beach, Newquay for Relentless Boardmasters 2012. They caught up with competing surfers on the beach, plus took to the half-pipes and ramps to talk gnarly breaks, bruises and bailing out.